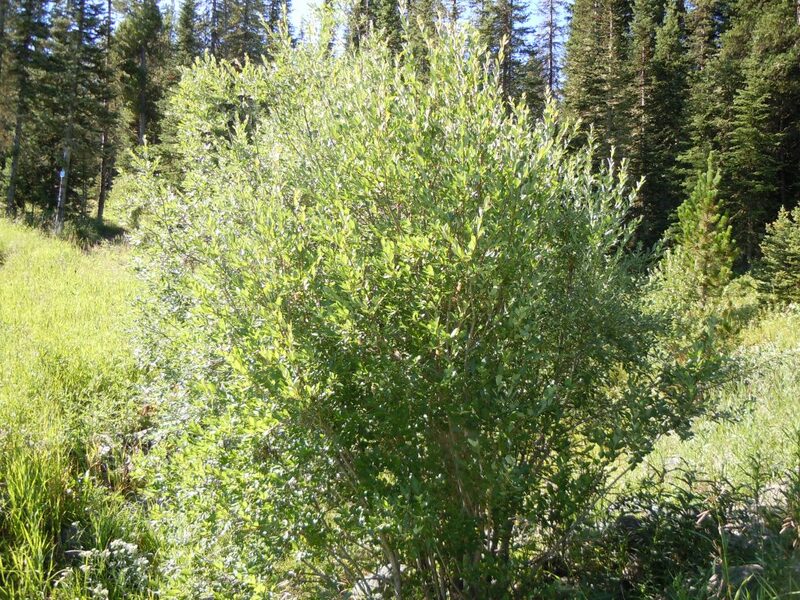 Salix bebbiana is a shrub or small tree 2-5 m tall, one to several stems, twigs slender, brownish-hairy, older bark gray-brown, furrowed stipules small to none. Leaves alternate, 4-8 cm long, 1.5-3 cm wide, elliptic to egg-shaped, pointed at both ends, margin coarsely toothed to almost entire, gray-hairy on both sides, at least when young, whitish-waxy, wrinkled below. 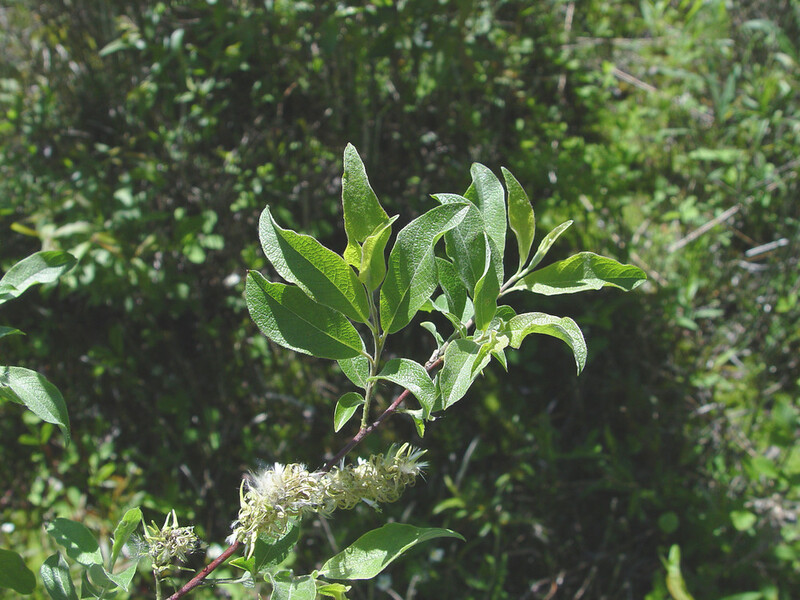 Salix bebbiana.Donald Cameron.Copyright © 2015 Donald Cameron.New England Wild Flower Society.gobotany.newenglandwild.org (Accessed 2/2017). Flowers tiny, in catkins, males and females on separate plants (dioecious). Male catkins small, stalkless, females 2-7 cm long, lax, stalks to 2 cm long, with bracts, blooms before leaf-out, March-April. Fruit small capsules, to 1 cm long, seeds plumed, wind dispersed, May-June. Habitat: Wet to moist, soil, open areas, soil pH 6.5-7.5. Tolerates salt, flooding, drought, soil compaction. Very intolerant of shade, index 0-2. NYC is near southern limit of this species (Hightshoe 1988).